Periscope 4.0 has been released! Among the many updates in this latest release includes the integration with SkySpark v3.0. 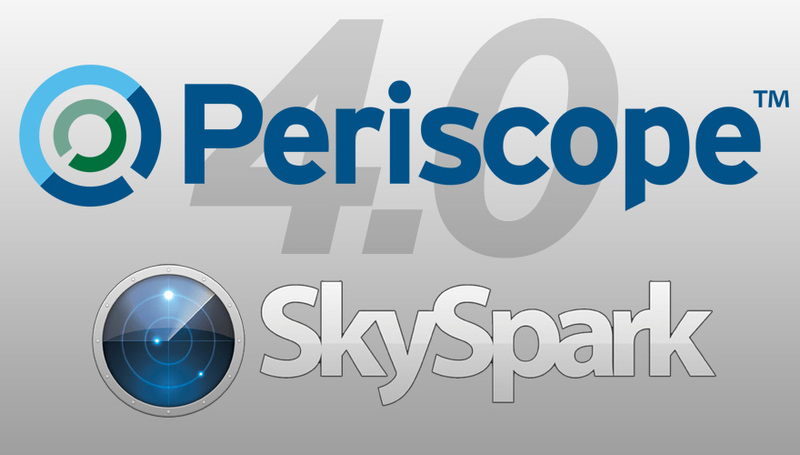 Now that Periscope has the ability to run directly on SkySpark, data can be imported and analyzed with this popular rule-based analytics platform! Other features include the new Liquid Gauge, and Timeline viewlets, and many other improvements!